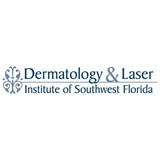 Dermatology & Laser Institute of Southwest Florida (Venice) - Book Appointment Online! Adam S. Greenberg, M.D. Adam S. Greenberg, M.D. is the medical director and president of Dermatology & Laser Institute of SW Florida, located in the beautiful community of Venice on the west coast of Florida. Dr. Greenberg is a board certified dermatologist and dermatological surgeon, Mohs skin cancer specialist, and cosmetic dermatologist. A Diplomate of the American Board of Dermatology, Dr. Greenberg is a member of the American Academy of Dermatology, the American Society for Dermatologic Surgery, the American Society for Mohs Surgery, the Florida Society of Dermatology and Dermatologic Surgery, and the Florida Society of Dermatologic Surgeons. Dr. Greenberg retains membership in the American Medical Association and the Sarasota County Medical Society.